Instagram ads – it all started with the display of a single filtered image and quickly turned into not only building a brand but also, a business. Like parent like child, Instagram ads are resembling more and more of what Facebook ads are like. As Instagram ads are quickly evolving, businesses now have the option to not only increase brand awareness but to also, increase website visits and offline sales. This ad format is what launched the world of Instagram ads. 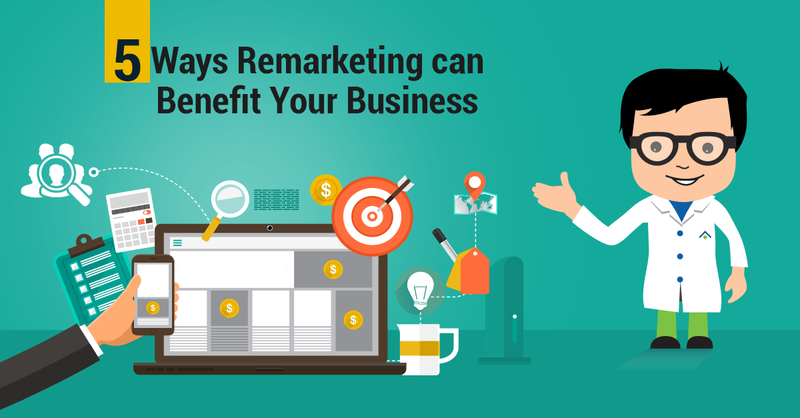 Advertisers have the option to create sponsored posts featuring a product or service they offer. They also have the option to include calls to action that leads to the appropriate page on the business’ website. These could include phrases such as “shop now”, “install now”, “sign up”, “learn more”, etc. What’s awesome about the Instagram picture ads is that the option is open to all advertisers. With Instagram’s carousel ads, advertisers are able to showcase multiple photos within a single ad as well as include a link to the brand’s website or webpage. The creativity of displaying carousel ads lies in the advertiser’s hands. You can “tell a story” with a sequence of photos, or simply display the product you are advertising using different shots. 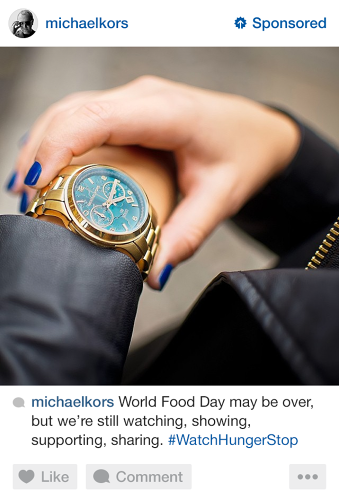 Instagram carousel ads are beneficial for both advertisers as well as potential customers. It allows the advertiser to showcase the product in different lights and it allows the potential customers to retain more visual information on a product that they are likely interested in. With the bonus of an added link, viewers can be directed to the brand’s website. If you want to get next level with your Instagram ads, try the picture and interactive navigation ad. This ad incorporates a tool that allows viewers to build their own personal product without leaving Instagram! Mercedez-Benz took the interactive navigation for a spin with their “Build Your Own Mercedes-Benz GLA” ad. It starts with a welcome page with the ability to choose a color, wheels, roof, and etc. For every category chosen, the user is directed to a new Instagram page that includes information regarding the model. The process continues until the user has essentially “built their own Mercedes-Benz GLA”. 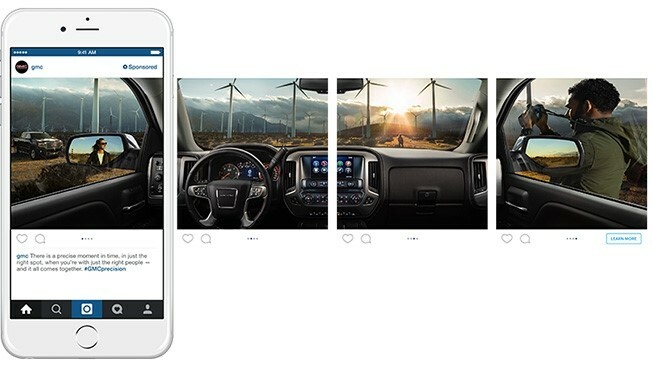 In an attempt to develop a “cinematic feel”, Instagram has rolled out 30-second video ads. Prior to this recent launch, ads were limited to the basic Instagram video length of 15 seconds. These ads allow advertisers to move audiences through visual inspiration. Instagram has recently launched a new tool called ‘Marquee’ that allows advertisers to drive mass awareness and reach within a short period of time. This is perfect for showcasing a new product or for any business that wants to address an ongoing topic. Fox was the first brand to utilize Instagram’s new Marquee tool. Their campaign focused on promoting 5 of their upcoming fall shows. 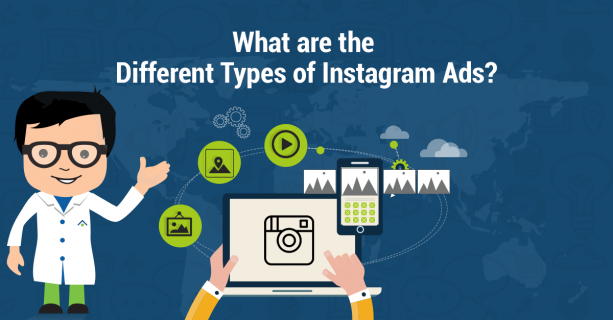 Aside from the above mentioned Instagram ad formats, advertisers are now able to publish photo and video advertisements in a landscape format. Instagram ads are effortlessly making their way into the paid social scene. With a community of more than 400 million users, advertisers of both large and small businesses globally have the ability to generate clicks to a website, increase mobile app installs, increase video views, as well as mass awareness.